Hunters will experience first class accommodations in our 2,800 square foot lodge which sleeps up to 18 people. The lodge includes 2 living rooms with a satellite TV in each, 4 full bathrooms, dining area, full maid service, laundry room, and 2 rooms for storage. 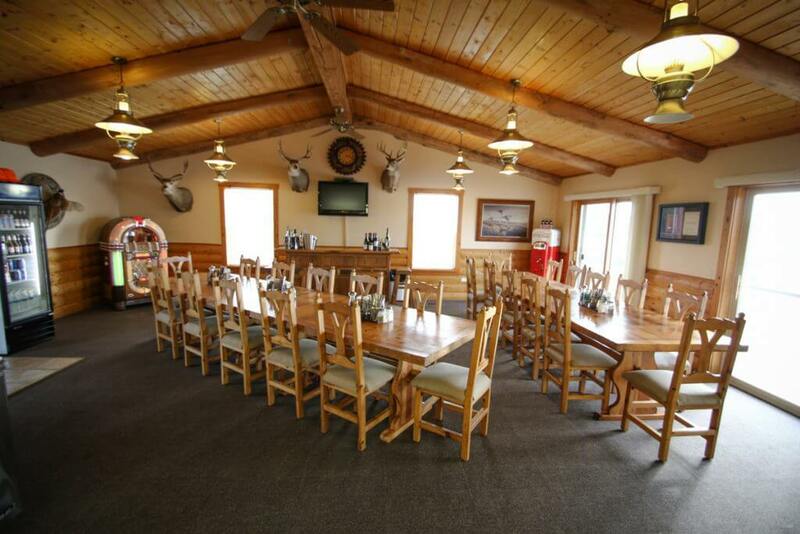 Wake up for a hot home cooked breakfast in our separate kitchen/dining room to get you ready for that day’s hunt. Then come back to the ranch for another hot home cooked lunch. In the evening you will enjoy some of the best cooked foods in the area. All meals and beverages are included in the price of your hunt. Enjoy some leisure time after a great day of hunting in our game room which features a pool table, dart board, poker table and an antique juke box. 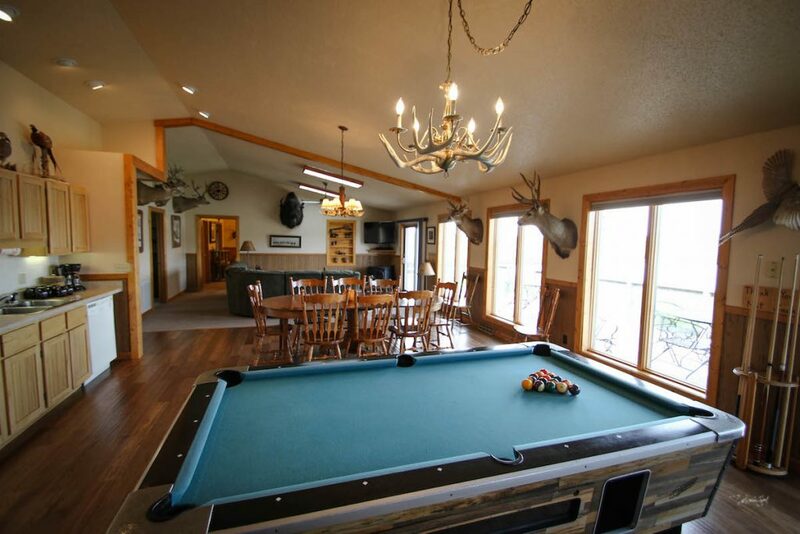 If its rest you crave then the spacious porches may be just what you need, overlooking the Butte Mountains, and view various types of wildlife including; Whitetail Deer, Mule Deer, Turkey, and Pheasants. Also we have a 6 acre lake just a few feet from our decks and it offers fishing, both regular and ice (trout, bass, and blue gill). You will also have the opportunity to shoot trap to get ready for that day’s hunt. We have suburbans, pickups, and a shuttle bus that will transport you to and from the hunt. 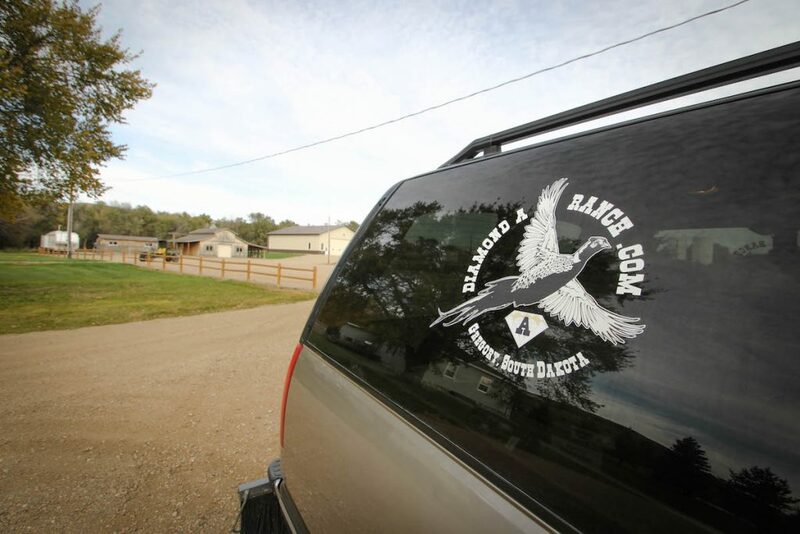 We also transport hunters to and from Winner Airport and to and from the closest town of Gregory. Our Dogs have 1st Class Accomodations too! 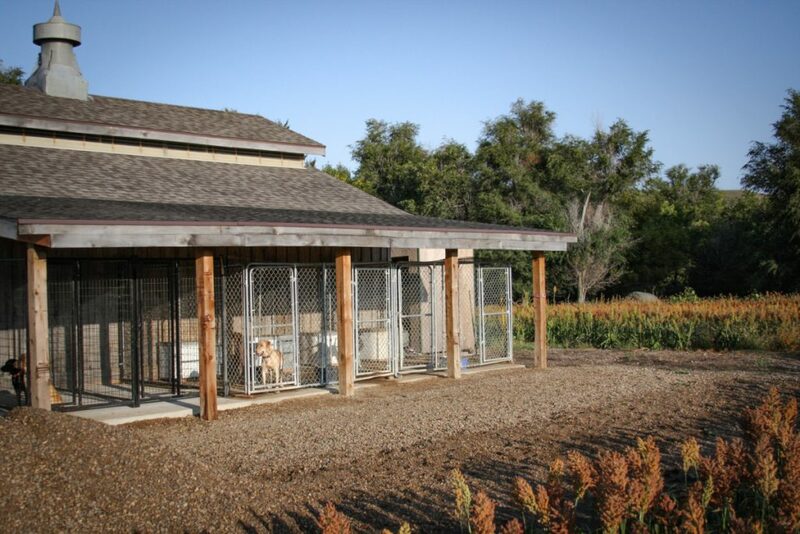 Diamond A Ranch provides indoor/outdoor kennels for those hard working dogs. We are equipped with meeting facilities to host your next company retreat.